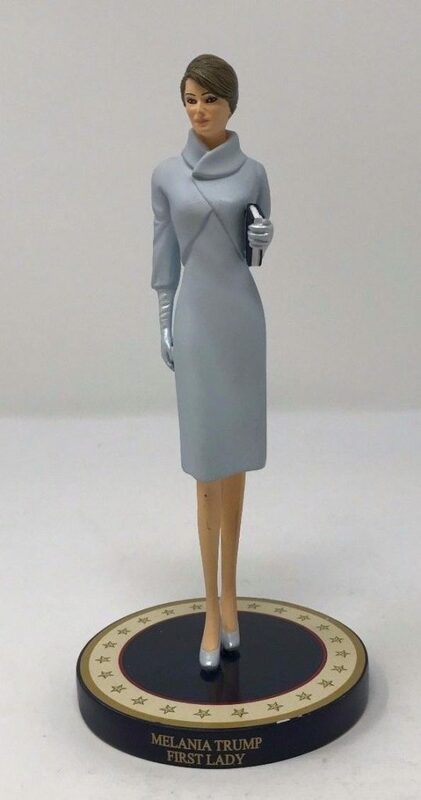 As if hacking our election and undermining our faith in democracy wasn’t enough, now Russia has apparently obtained a sacred Melania Trump figurine. I discovered this alarming news recently when thumbing through supermarket tabloids and reviewing advertisements for The Bradford Exchange and its sister company, The Hamilton Collection. That according to the biographer of America’s worst artist, Thomas Kinkade, who has sold tens of millions of dollars-worth of his productions through The Bradford Exchange. 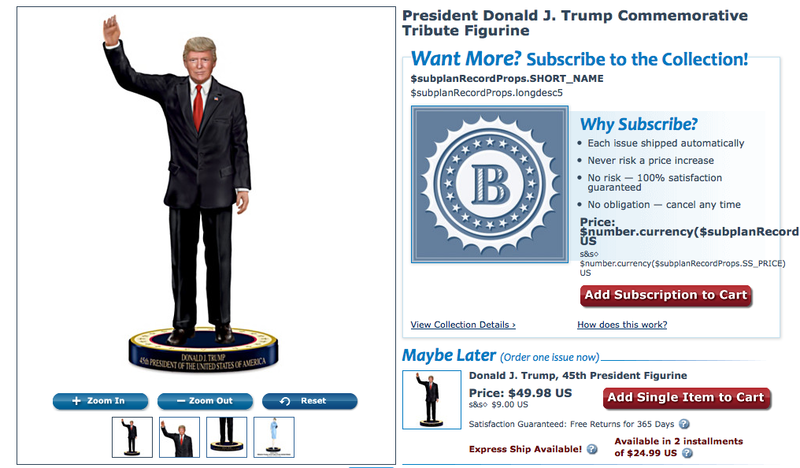 In the “Patriotic and Military” product category, The Hamilton Collection always comes out with a “commemorative tribute figurine” whenever a new U.S. president is crowned. 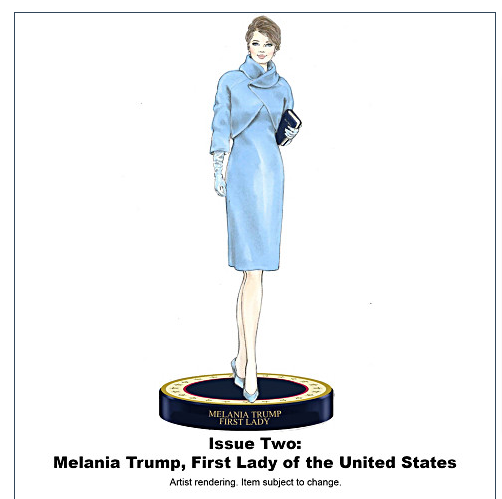 A Melania Trump figurine is also advertised on the Hamilton Collection website (as seen in the thumbnail pictures below the Donald Trump figurine). But it is not available for purchase, and the featured image of her figurine is not a photo but merely an “artist’s rendering,” implying that the item has not yet been produced. 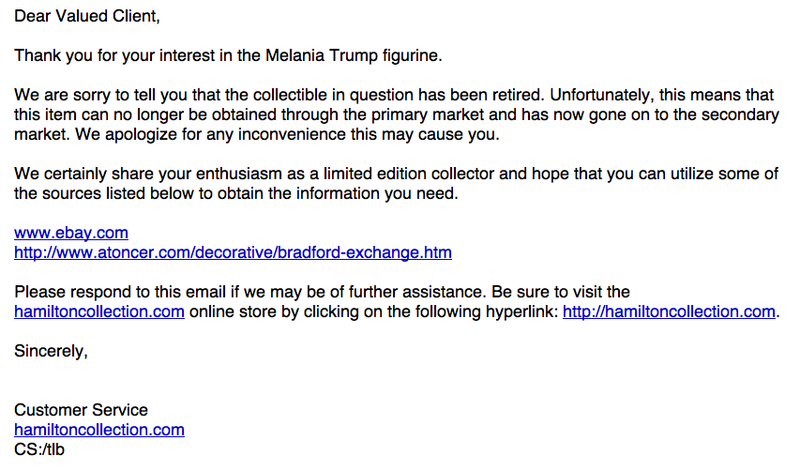 Because my Enquiring mind wanted to know, I emailed The Hamilton Collection and asked when the Melania figurine would be available. Why was Melania “retired” so soon — before they even had a chance to replace the artist’s rendering with a proper photo of the actual item? 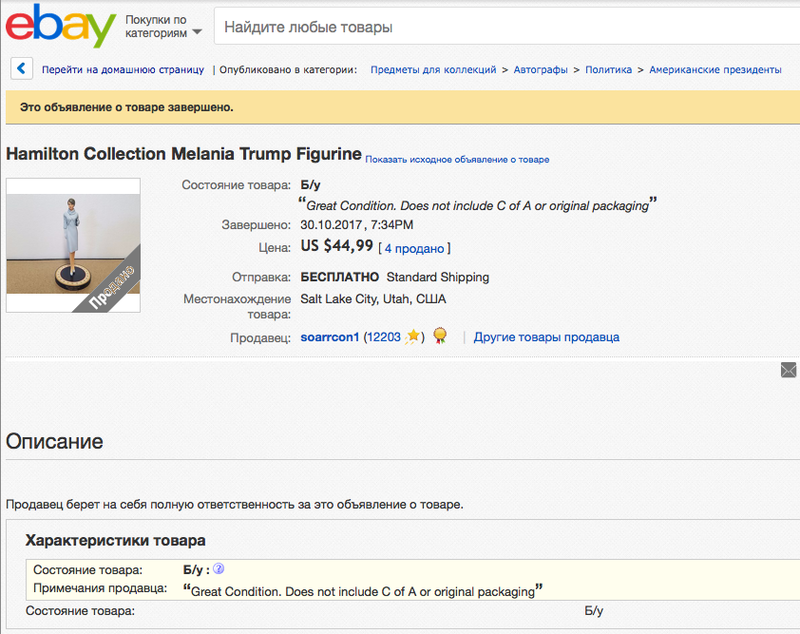 What is a seller in Salt Lake City doing listing the Melania figurine in Russian? How did this seller get the actual item, as seen in the photo? 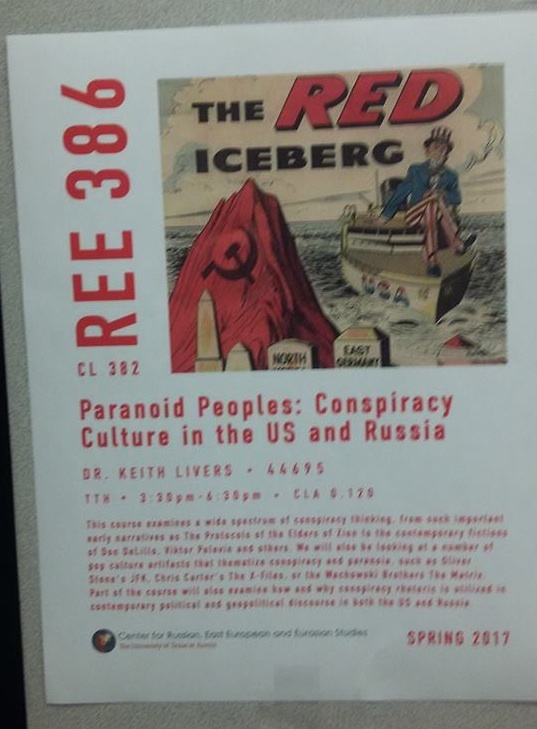 And has the Melania figurine been shipped off to Moscow? I don’t know what sort of plot is underway here with The Hamilton Collection’s Melania figurine, but someone needs to get to the bottom of it. Perhaps a subpoena from special counsel Robert S. Mueller III is in order.